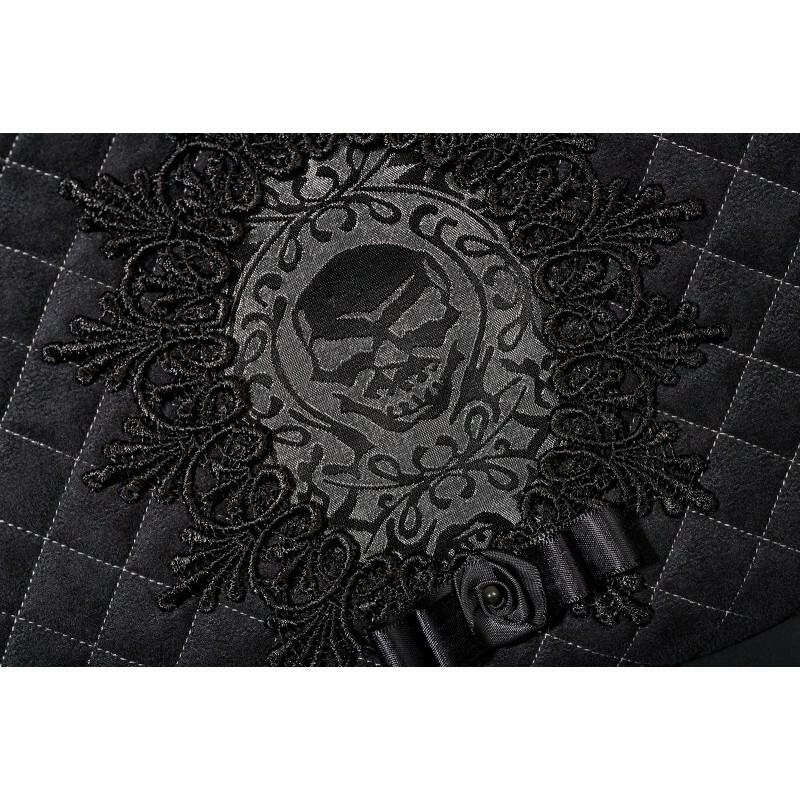 Luxury gothic rock purse-bag made from black suede damask enhanced with grey overstitching, a silver-black brocade skull head, black lace and obsidian beads. The PURSE - BAG CATACOMBES (Silver) (Catacombs) is a brand new DAMASK luxury bag made from black suede enhanced with grey overstitches. Between DARK ROMANTICISM, cabinets of curiosities and ROCK ATTITUDE, this singular bag has a SKULL HEAD as an emblem made from BROCADE surrounded by guipure LACE. 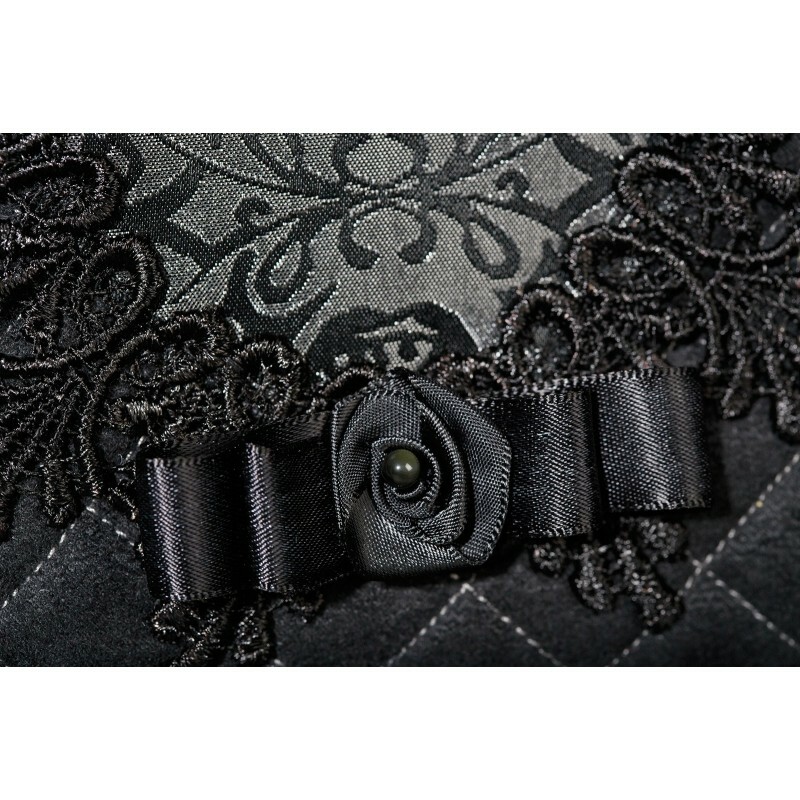 Its matching BROCADE removable strap thanks to its metal snap permits to carry it easily. 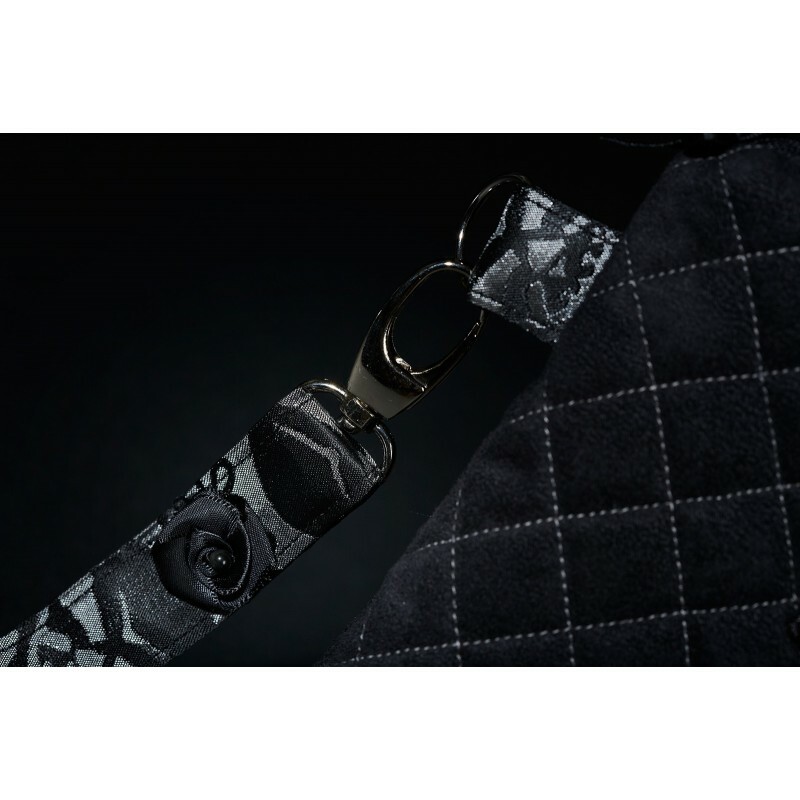 Black SATIN bows and ROSES and OBSIDIAN beads adorn this unusual piece.